Work is moving quickly to prepare the new novitiate for the 2017-18 class of novices. A carport is getting walls so that it can be used as the chapel and extra bedrooms are being added. 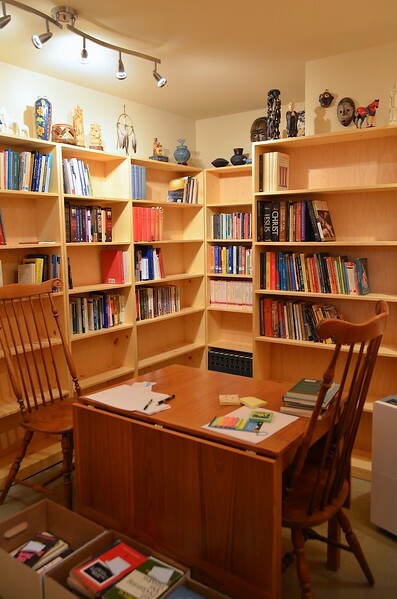 The wine cellar has been converted into a library, and what was once the basement recreation room is now a classroom. A former residential property, the novitiate is located approximately 12 miles south of Sacred Heart Monastery. Henry Nguyen and Paul Hoang will be received into the novitiate on August 14. Fr. Byron Haaland will be their novice master. What was once a wine cellar is now a library. Frater Joseph Vu has been busy digitally cataloguing its contents.